Highly qualified and experienced tutor. 1 to 1 tailored lessons. 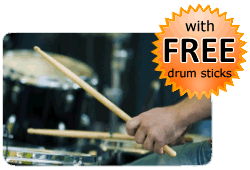 * PAY NOTHING NOW * Payments for drum lessons are made directly to Mary Prince. You do not pay in advance to book a drum lesson with Mary Prince via this website. 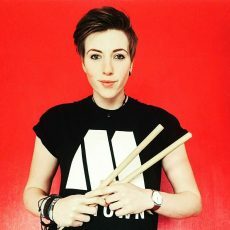 The Booking Request Form on this page enables Mary Prince to get in contact with you to confirm a day and time for the drum lesson.